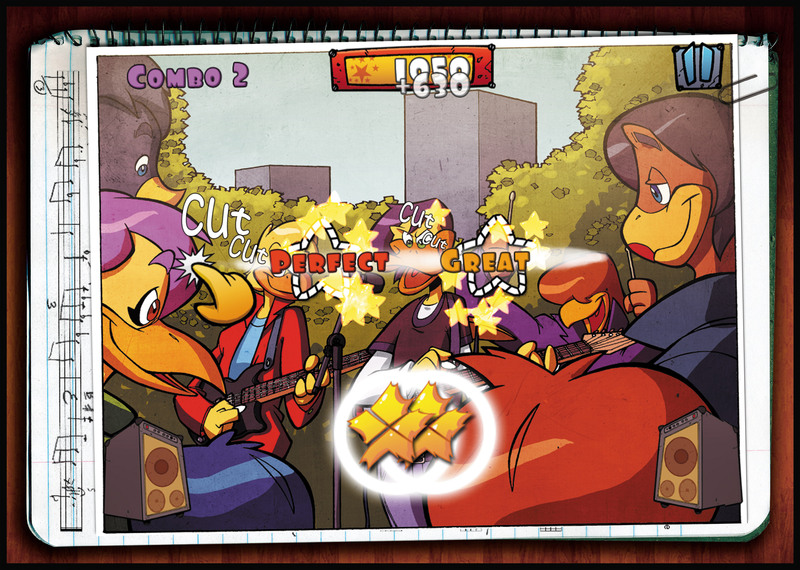 PARIS – Nov. 8, 2012 – Wild Factor today announced the launch of Duck & Roll, a rhythm game that tells the story of an ugly duckling with a hankering for rock and roll music. Growing up in a family of devoted classical music lovers, Jeff “The Odd Duck” Duck decides to leave his family behind to live out his dream and become a rock star. Start shredding in Duck & Roll, available now on the App Store for $1.99 at http://itunes.apple.com/app/id445977274. 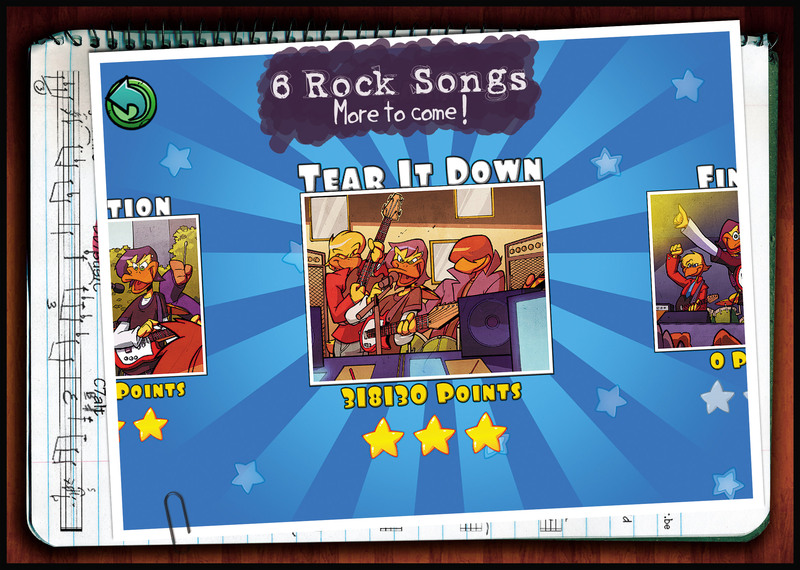 Tap, slice, hold and cut jumping stars to the beat of original rock and roll tunes in six different levels and songs, with multiple difficulty settings, from rock artists such as Saints of Silence, Dan Phillison and Tempero, and more coming soon. Every level you clear brings Jeff one step closer to his dream. Six levels to rock out loud to, and more coming soon! Get ready to duck and roll all night and download Duck & Roll from the App Store now at http://itunes.apple.com/app/id445977274. For more information visit Wildfactor.net and follow the developer on Twitter and Facebook. Download the press kit for Duck & Roll (6.8MB). Wild Factor is a an indie game studio founded in 2011 by French programmer Alexandre Lautié in his living room in Paris with one simple yet often forgotten ambition: make games everyone will truly enjoy. Alexandre’s previous work includes mobile adaptations of notable franchises such as: Leisure Suit Larry, King Quest and Spyro and his current job includes working on AAA titles like Just Dance. He founded Wild Factor wishing to create small games again, with absolute creative freedom. For his first game, Duck & Roll, Alexandre is joined by Diego Di Toro, a Chilean comics artist and Michael Beier, a German level designer.